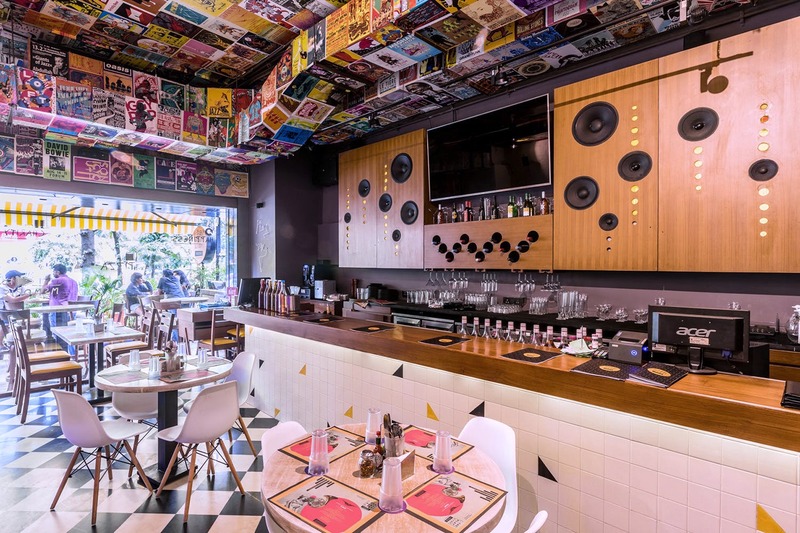 There’s a new music bar and café in town that lets you play your favourite music, through a community vinyl player and a virtual jukebox, and eat it too. We have all the deets. Imagine entering a spot in the city where you’re swaying to the rhythm with a slice of stone base oven pizza in your hand. The all-new Playlist Pizzeria in Andheri is all about that, and so much more. Apart from the music, your opening act begins with salads and sliders such as Shape Of You, Party Animal (pulled tandoori chicken) or even Paris (lamb patties). Their “Bassline’ sandwiches will be served all day and can be paired with a great selection of fries to satiate you. The main stage is all about their signature stone base oven pizzas, with quirky names like Smooth Criminal (paneer tikka), Thunder (chicken tikka & spicy chicken sausage) and Beliebers (their 4-cheese pizza). The Afterparty offers you desserts like a pizza cookie or even a white chocolate & strawberry pizza. Sounds delish, doesn't it? What’s really caught our attention is that INR 75 from each portion is donated to Music Basti, a non-profit organisation that helps children nurture their music skills. Apart from their quirky range of cocktails, they also have the ‘Groove Café’ section, where you can choose some handpicked single estate Indian speciality coffee or even milkshakes and cold brews.